Collects Birds of Prey issues 104-108. Simone’s final arch! Birds of Prey versus Sinister Six! 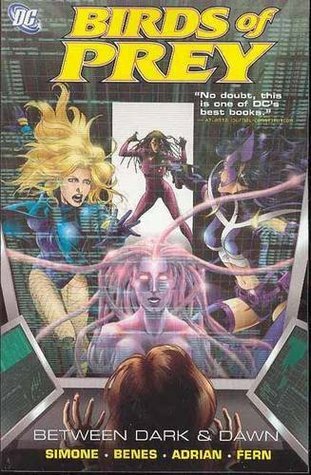 In the previous collection the Spy Smasher managed to blackmail Oracle, and her expanded team, to work for her and now she’s sent the team to Russia to retrieve (steal) a prototype of a new Rocket Red suit. A Russian general nicknamed “The Butcher” is about to get his hands on the improved weapon and Spy Smasher can’t have that. Unfortunately, the Butcher has hired a villainous group of mercenaries to watch his back. And, no surprise there, the Spy Smasher isn’t telling the team everything she knows. Also, the collection builds towards a showdown between the Spy Smasher and Oracle. The Smasher used to be Barbara’s friend/worst rival in university and they haven’t seen eye to eye since then. 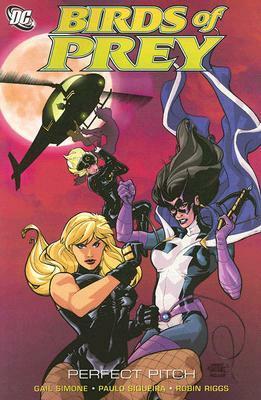 In the previous collection, Dinah quit the team. 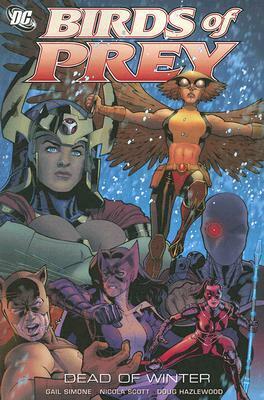 Now, the Birds of Prey consist of Huntress (as the team leader), Big Barda, Hawkgirl, and Manhunter. Also, a teleporting teenager Misfit appears quite often, despite Oracle’s wishes. Lady Blackhawk is still the team pilot. This was a fun, very action-oriented collection set in Russia. It’s starts with a great gala scene where the team is undercover, only to be spotted by the Sinister Six, also undercover. Thing escalate from there. Huntress flirts a little with Catman while Barda and Knockout pummel each other. We also get a bit of mystical mumbo-jumbo but not enough to be really annoying. The best parts are, again, the characters. Barbara’s rivalry with the Spy Smasher. Barda vs. Knockout. Harley Quinn is part of the Sinister Six line-up and pretty funny. We also find out Misfit’s past. The final issue gathers most of the previous and current cast which was great. A strong ending for Simone’s run.